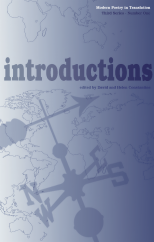 The first issue of MPT in the new series, edited by David and Helen Constantine. In their Editorial they promise two things: that they will continue the tradition of the magazine founded in 1965 by Ted Hughes and Daniel Weissbort and direct it also to deal truthfully with the world as it is today – a world whose hallmark is ‘instability and ferment, the voluntary and enforced movement of large numbers of people, over Europe and worldwide’. ‘Introductions’ contains Mahmoud Darwish’s ‘A State of Siege’, translated by Sarah Maguire and Sabry Hafez – the first publication of that important and deeply moving work in English entire. Also poems by Philippe Jaccottet (trs Helen Constantine) and Boris Ryzhy (trs Sasha Dugdale), two writers very different in age, poetics and circumstances, a juxtapostion that will be characteristic of MPT. An essay by Charlie Louth, entitled ‘The Traveller’, reviews and celebrates the work, as translator, of Michael Hamburger, a contributor from the very beginnings of MPT until his death in 2007. Languages represented in MPT 3/1 are Arabic, Russian, Italian, Irish, Spanish (Costa Rica and Cuba) French and German.